I have been mulling over a few thoughts about the CQC Maternity Services Survey 2015. With the launch this week of #YourMaternityCare campaign by the Care Quality Commission (CQC) encouraging women to share their maternity experiences now seems as good a time as any to share some of my thinking and importantly ask some questions. To be clear I am not going to talk scientific methodology, survey design or validity, I am simply going to share some personal ideas as an obstetrician and a member of the #MatExp gang and question if we could use the survey to challenge ourselves in a more creative way. What sort of impact does this sort of survey have on the care women receive? The answer to this may depend on how you view the results. It can be examined at a national level looking at care across the country and comparing with previous years to look at trends and themes. Undoubtedly this survey showed better experiences overall than in previous years and this is good news. An excellent example is the increase in the number of women receiving care before 10 weeks of pregnancy, with a big potential impact on eventual outcome. It is important to take time to give ourselves a collective pat on the back and celebrate those improvements as it can be so easy to focus only on the negatives. For a great visual overview, take a look at the infographic produced by Picker. On a regional level the 2013 Maternity survey and the negative results of some London Trusts was actually one of the sparks that led to the London Maternity Strategic Clinical network focusing on ‘Patient experience’. Therefore it directly led to the ‘birth’ of #MatExp and our collaboration with Gill Phillips to produce a maternity version of her Whose Shoes game and development of a workshop toolkit & examples of best practice. 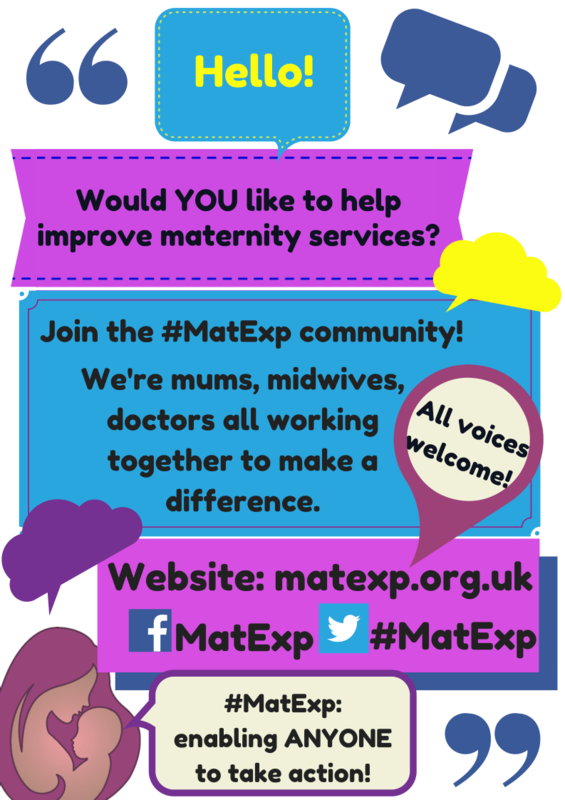 So that’s another positive: the resulting #MatExp change platform and community of people interested in improving maternity experience therefore could be said to be a direct result of the 2013 survey. We can examine hospital level data and see how a maternity service changes over time, and how women respond on specific questions. This can help us identify a particular area that needs improvement, such as continuity or postnatal care, as well as giving positive feedback about what is working well. It can help us benchmark our services against others locally or nationally. It is undoubtedly a valuable data point even if it has limitations and exclusions however it is only one of many ways we should be looking at feedback. Most Trusts will have an effective governance system meaning that the results will be reviewed and circulated, an action plan devised and those actions systematically ticked off when completed. We need to be cautious as it can become all about process and tick boxes if we are not careful, held at management level and a little detached from both those in daily practice and our service users. I wonder how many Trusts have worked proactively with their Maternity Service Liaison Committee (MSLC), staff and service users since they received their individual 2015 reports to identify what improvements would have the biggest impact for their women and to look at how their survey results correlate with other methods of feedback they use? According to the National Tariff benchmark data 65% of women are ‘standard’ i.e. do not have a complicated antenatal period and therefore are ‘healthy’ pregnant women. Therefore, the first challenge from the results is why are so many of these births happening in hospital. It probably has something to do with the fact that the survey showed 63% of women who have given birth previously were definitely given enough information about where to have their baby, falling to 53% of women giving birth for the first time. This presumably means large numbers of women are not getting adequate information. I’m not going to recap NICE Intrapartum care 190, but we know it provides evidence that for healthy pregnant women who have had a baby before we should be explaining birth at home or in a midwifery led unit is likely to have less intervention and the same outcome as delivery in a hospital. Across the survey results first time mothers seem to be getting a worse experience with consistently lower results than women who have given birth previously. Is this because we are doing something different for first time mothers, is this because we should be doing something different or is it simply that the different groups of women have different expectations? Do first time mothers have higher expectations and are then disappointed whereas mothers who have given birth previously have lower expectations as they know what it was like last time? In amongst some good improvement scores remain worrying minorities. 89% of women said that during their antenatal care they were “always” spoken to in a way they could understand – up by 7 percentage points since 2007 (82%). However, this means that 11% were not “always” spoken in this way. 87% of women reported that they were always treated with dignity and respect during labour and birth compared to 85% in 2013, but what about the 13% that were not? Surely these are the fundamental basics of care and should be true for every single woman. What are we doing about these women? Can we identify who they are, are there specific groups we are not catering for or not understanding what they need? Don’t even get me started on lithotomy: ‘The proportion of women being in a position of lying with legs in stirrups whilst having a normal vaginal delivery has seen a steady increase over the past few years going from 17% in 2010, to 19% in 2013 and 22% in 2015’. What on earth is this all about? In 2015 I undertook a lithotomy challenge on NHS Change day and you can read about my experience in the blog I subsequently wrote. Postnatal experience is clearly lagging behind antenatal and labour care with much lower figures sitting in the approx. 50% region on all aspects of care including physical and emotional wellbeing. Collectively we need urgent action to address this? But the need for collective action raises a problem. Within the NHS we now have this terrible dilemma collaboration versus competition. The CQC Response to the survey results clearly highlights Trust who have performed better or worse than expected in the last two surveys. If we accept that these results are valid and not a difference in expectations or different for other reasons, then as a simple solution we could potentially buddy up good performing Trusts with poor performers. However, Trusts are individual organisations. The strategic clinical networks and NHS England can influence, but there is no obligation for Trusts to help others. If we work at a good Trust what is the incentive to share what works? Pure altruism goes some way, but when you face difficult budget choices and competing demands collaboration can be an easy casualty, and as health care professionals what responsibility do we have to try and improve quality outside our own immediate practice? I certainly don’t have all the answers. 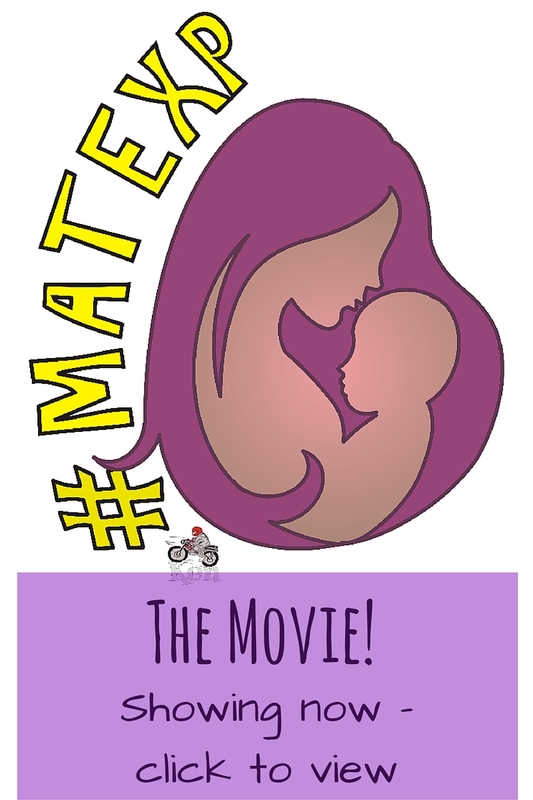 For me #MatExp is some attempt at trying to improve and discuss many of these issues on a broader scale, ignite a lively conversation about maternity care and to encourage others to think that they can influence positive change however big or small. 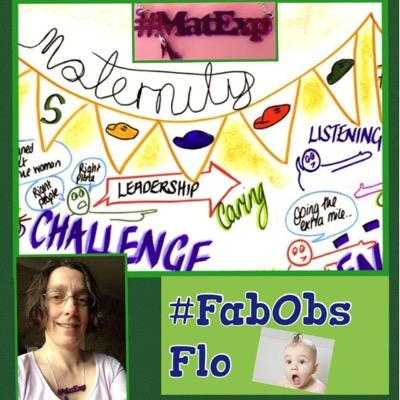 If you are interested in joining the conversation or taking action on improving maternity experience in anyway jump in and join us on Twitter (find tweets tagged #MatExp), join our group on Facebook, or send us a message. 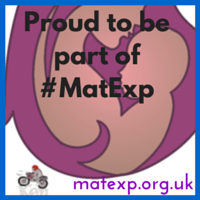 « What Does #MatExp Mean To You? Buddying up – what is the incentive to share what works? I liked this question. As a flag waver for the power of clinical networks, I would say there are two key incentives. 1. Buddying with another trust can be done in an expectation that you will both have different strengths and weaknesses. So whilst your trust might show a neighbouring trust some effective ways to improve maternity experience, they might be able to show you how they’ve reduced stillbirth rates, for example. 2. Routinely sharing outcomes data (for the 3 domains of quality – safety, effectiveness and satisfaction) with another organisation allows you to question your own system – it can challenge established ways of doing things and you can push one another to go further, faster with your quality improvement goals. Include mums and dads to increase the challenge and quality of ideas.